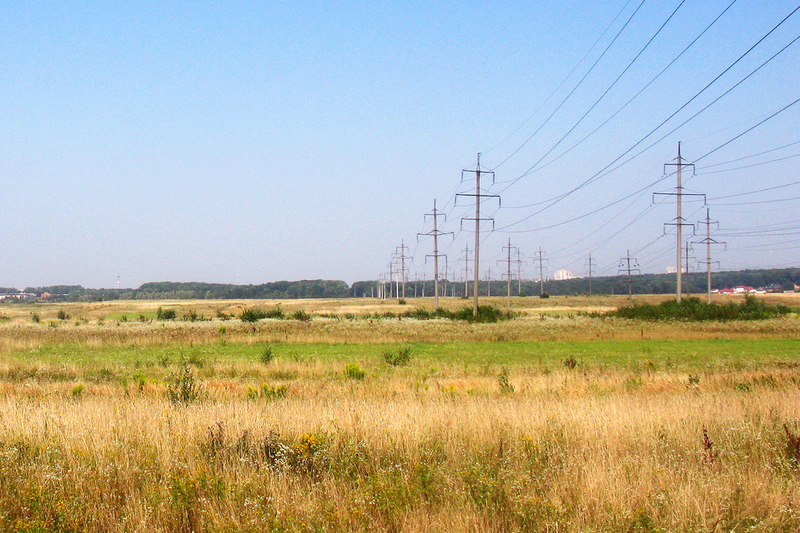 Foreign corporations and Ukrainian agro-holdings are currently seizing massive amounts of Ukraine’s agricultural land. Since this trend does not involve the displacement of the rural population or directly endanger their subsistence, and gives at least the impression of offering inclusive terms, it is hard to see much evidence of local resistance (Mamonova, 2012). But the phenomenon represents a disturbing case of controlling, capturing and concentrating decisions regarding Ukraine’s land use and agricultural model in few private hands. In Ukraine, land grabbing is to some extent about the transfer of formal ownership but primarily it is about who has de facto control over the land. Ukraine, formerly the breadbasket of the Soviet Union, is now a major crop producer for the world market. The country has over 32 million hectares (ha) of arable land, which is equivalent to roughly one third of the arable land in the entire European Union (EU) (FAOSTAT, 2012). Its location on the Black Sea and its fertile black soil – it possesses 25 percent of the world’s so-called Chernozem – make Ukraine attractive to agricultural producers and investors. Moreover, agriculture is now considered as a main business opportunity in the Black Earth (Invest Ukraine, 2011). This sector is indeed crucial for Ukraine: in 2007 agriculture contributed about 8 percent to the country’s GDP and about 17 percent to its employment (OECD, 2009: 152). In 2008–2009 Ukraine was the third largest exporter of grain worldwide (Jaroszewska, 2011: 20). More specifically, in 2010 it ranked second among exporters of barley, third for rapeseed, fifth for sunflower seed, sixth for corn (maize) and eighth for wheat (FAOSTAT, 2012). Oilseeds and barley are very soil-intensive crops, which is creating increasing on land (Visser and Spoor, 2011). At the onset of the multiple crisis (financial, climate, food) the three large former Soviet countries – Ukraine, Russia and Kazakhstan – were often referred to as having major untapped agricultural potential. This was mainly due to the steep drop in agricultural production in the 1990s caused by the breakup of the Soviet Union. Thus, international institutions and big agri-businesses alike advocate an expansion of the area under cultivation and an intensification of agriculture. They claim this would not cause environmental or social problems and that it would support the development and modernisation of these countries. Further, Ukraine could extend its role in feeding the world (EBRD/FAO, 2008; Chakrabarti and Da Silva, 2012; Rachkevych, 2012). This push for a large-scale agro-export model, in the context of the privatisation of agricultural land within the framework of Ukraine’s land reform, led to the current wave of land grabs, with foreign and national agri-business obtaining control over Ukrainian agriculture. After the collapse of the Soviet Union, Ukraine started a transition from public to private ownership. During the 1990s, land was formally distributed to those who were working on the collective and state farms, who each received an average of 4 ha. The land-share certificates that were handed out to the rural population were not assigned to any specific area. Only with the adoption of the presidential decree in December 1999 was the land officially given to the approximately 7 million rural habitants and the leasing of land started. In 2001, the Land Code came into force, which officially guaranteed land titles. Yet, at the same time, a moratorium on the sale and purchase of farmland was introduced. This has been extended several times and is now in place until 1 January 2016 (Allina-Pisano, 2004; Kucher, 2007; UCAB, 2012; UN.UA, 2012). Since most of the land is leased and thus not controlled by the original landowners the moratorium serves only as a formal prevention of land deals. In general, Ukraine’s land reform has been a fairly lengthy process and has posed major obstacles for the rural population. For ten years, it was difficult for farmers to work their land for various reasons. First and foremost, they simply did not know where their land shares were situated. Further, they lacked sufficient technical equipment since it still belonged to the collective agricultural enterprises, and they had no access to financial resources (Allina-Pisano, 2008). With no perspective, many people moved to the cities or emigrated. To date, agricultural policies have provided hardly any state support for small and medium farmers in Ukraine, and the government seems to lack much of an understanding of how to foster rural development. In both cases, policies might exist on paper but are not implemented (Demyanenko, 2008: 8-9). As a consequence, most landowners in fact lease their land. Among international agri-businesses, Ukraine is regarded as a relatively low-cost country. The current average lease rate per hectare is 350 Ukrainian Hryvnia, around 30 Euro. This rate is regulated by a presidential decree and must constitute at least 3 percent of the actual price of the land. In practice, many of those who leased the land were paying the lease through in-kind forms of compensation (e.g., a share of the grain that they produce). This emerged as a common practice, especially where the landowners continued to maintain livestock. More recently, though, a shift appears to be underway toward payments in cash, since many of the landowners have begun to abandon the countryside and farming livestock for a life in the cities, and consequently begun to prefer payments in cash over payments in kind. The average lease period is also rising. Currently most land is leased for four to ten years up to a maximum of 49 years (UCAB, 2012: 16-17). In addition, people often do not know who is actually leasing their land since larger tenants lease from smaller tenants. Moreover, although agricultural land cannot officially be sold, it is in fact being sold on the parallel market (Strubenhoff, 2011). Hence, the current agricultural structure can be regarded as an interim outcome of Ukraine’s land-reform process. Officially, there are 4.5 million rural household plots on 7.5 million ha and 49,000 agricultural enterprises on 23 million ha. The latter include 40,000 farms on 4.3 million ha (State Statistics Service of Ukraine, 2011). Interestingly, household plots are not included in the official agricultural records, although they accounted for more than 50 percent of agricultural production in 2008 (Sauer, 2010: 3). The latter play a major role in the domestic market, while agro-holdings, another important group that does not appear in the official data, are directed primarily towards export for world markets. This interim outcome paved the way for the rise of agro-holdings, especially since 2005. Their share in the GDP is 42.3 percent, against 5 percent for farmers (Ministry of Agriculture, 2012). As they expand, so the concentration and control of land rises correspondingly. They do not only lease land from individual landowners, but also incorporate different agricultural enterprises. Agro-holdings are increasingly integrated horizontally as well as vertically in order to control the whole value chain. They are hailed as the solution for the country’s agricultural development since they have the necessary modern equipment, know-how and financial background (Demyanenko, 2008). Their number increased in recent years and currently the ten largest agro-holdings control about 2.8 million ha (Latifundist, 2012a). Ukrainians call them ‘latifundisty’, since their large tracts of land are dedicated to export crops such as grain and oilseeds (Latifundist, n.d.). Latin American countries like Argentina or Brazil are frequently held up as an example of how agro-industry should develop in Ukraine (Spoor, 2012). To date, the share of domestic agro-holdings predominates over foreign ownership, with 82 percent of the top 100 in Ukrainian hands (Latifundist, 2012b). Land is considered as the last resource that was never fully privatised in the 1990s, as were other business such as the metallurgy and chemical industries. Viewing agriculture simply as another business means that land becomes an important source of profit. Consequently, it is being divided up among the oligarchs. For instance, Ukraine’s richest man, Rinat Achmetov, recently became involved in agriculture as the owner of the agro-holding HarvEast (220,000 ha) (HarvEast, 2011). To give another prominent example, Ukraine’s current largest agro-holding, Ukrlandfarming, controls over 500,000 ha. It is owned by Oleg Bachmatjuk, who also owns Avangard, one of the world’s largest producers of eggs and egg products (Interfax-Ukraine, 2011; Avangard, 2010). The company is formally registered in Cyprus, Ukraine’s biggest tax haven (Parusinski, 2012). The two biggest foreign agro-holdings among Ukraine’s top ten are the US NCH Capital (400,000 ha) and the Russian Ukrainian Agrarian Investments (260,000 ha) (Latifundist, 2012a). Given the close connection between business and politics that characterises the country in the Black Earth (UkraineBusiness insight, 2012b: 15), it is difficult for foreign businesses to succeed. They are willing to take such high risks, however, since this boosts their profits (AG Chat, 2011: 5). Recent years have also been marked by mergers and acquisitions among the agro-holdings. For example, Swedish Alpcot Agro took over the British Landkom, and Ukrlandfarming Rise and Dakor Agro Holding (Agrimoney, 2011; Zinkov, 2011). In view of their need for foreign technology and further capital, the Ukrainian agro-holdings are interwoven with transnational capital through the stock exchanges in London, Frankfurt or Warsaw (UkraineBusiness insight, 2012a: 8–10). European Pension funds as the Third Swedish National Pension Fund and the Dutch Pension Fund for Care and Well-Being are involved in agricultural companies (GRAIN, 2012). A further international dimension is the support for agri-business provided by the international financial institutions (IFIs), specifically the International Finance Corporation (IFC) and the European Bank for Reconstruction and Development (EBRD). The share of the latter is significant and rising (EBRD, 2011). In addition, the IFIs provided credit to non-Ukrainian companies, such as Agrogeneration, a French agro-holding, which obtained US$10 million – enough to be able double its area of arable land from 50,000 ha to 100,000 ha (Usov, 2011; Agrogeneration, 2012). Another example is the German trader Toepfer, which received US$60 million to support its operations (Interfax-Ukraine, 2012a). At the same time, it is important to highlight that small and medium farmers in Ukraine find it hard to obtain credit. (UCAB, 2012: 19). Crop exports go mainly to the Middle East, North Africa, the EU and Turkey (Invest Ukraine, 2011). Though it is difficult to say whether ‘flex crops’ are used for food, animal feed, bio-fuel or industry (Borras et al., 2012: 851) there is a clear connection between Ukraine’s increased rapeseed production in the mid-2000s and the EU’s rising demand for agrofuels, given that 90 percent of the crop is exported to countries in the EU (Ogarenko and Nivievskyi, 2012). As a rule, agro-holdings plant first what is most profitable for them. For example, sunflowers are cultivated intensively, making Ukraine the largest exporter of sunflower oil (Invest Ukraine, 2011). There is also a clear trend towards producing soya and maize (UCAB, 2012: 45–47). In June 2012, the governments of Ukraine and China signed a memorandum, on the basis of which Ukraine received credit of 3 billion US-Dollar, laying the ground for agricultural cooperation between the two countries. Ukraine is expected to export 3 million tons of maize to China in return for seeds, crop-protection agents and equipment. Further, the construction of an organic fertiliser processing plant and a crop-protection agent production plant are planned in Ukraine (WNU, 2013; ZN.UA, 2012). The current situation can be seen as the outcome of the privatisation process that started in the early 1990s. Although there has been a long and intense debate on the introduction of a market for agricultural land in Ukraine, the ultimate stage of privatisation – the lifting of the moratorium – has yet to be completed (Strubenhoff, 2011; UN.UA, 2012). Despite this, a kind of land market has already been established through the leasing agreements. Further, the agri-businesses and international experts do not support the current draft law on introducing a land market since it proposes to restrict leasing to 100,000 ha and ownership to 100 ha. It also entirely excludes non-Ukrainian entities from the market. However, the draft is very likely to be changed before its final adoption (Grytsenko, 2012; UCAB, 2012: 43). Among the proponents of the land market are international organisations and foreign experts as well as government officials. The latter always advocate for this while they are in power because they stand to profit from its privatisation – but once in opposition, the political parties are against it. It is therefore not surprising that Ukrainian political parties have no firm position regarding the introduction of a land market. However, most Ukrainians are against the privatisation of land, just as they were in the 1990s. Primarily, they fear the increasing degradation and concentration of land (Allina-Pisano, 2004: 573; Bychenko, 2012). Yet, the introduction of a land market is being promoted and will sooner or later be realised since it is regarded as the only way to accomplish the transition to a free market with functioning property rights, which is seen as the key to fighting corruption, stimulating investments and achieving a flourishing agricultural sector in the Black Earth. Note: This text was published in June 2013 by the Transnational Institute (TNI) for European Coordination Via Campesina and Hands off the Land network as part of the report “Land concentration, land grabbing and people’s struggles in Europe” that contains respective analysis for many more European countries. Many thanks to the author for providing the text to boell.de. AG Chat (2011) ‚George Rohr in Agriculture Global Investments’, available at: http://www.iirusa.com/upload/wysiwyg/New%20Media/Ag20_P2GeorgeRohr.pdf. Agrogeneration (2012) Front Page of corporate website, available at: http://www.agrogeneration.com/index.php?lang=en. Allina-Pisano, J. (2004) ‘Sub rosa resistance and the politics of economic reform: land redistribution in post-Soviet Ukraine’, World Politics 56 (4): 554–581. Allina-Pisano, J. (2008) The Post-Soviet Potemkin Village: Politics and Property Rights in the Black Earth. Cambridge: Cambridge University Press. Avangard (2010) Corporate Video, available at: http://avangard.co.ua/eng/. Borras Jr., S..M., Franco, J. C., Gómez, S., Kay, C.and Spoor, M.(2012) ‘Land grabbing in Latin America and the Caribbean’, Journal of Peasant Studies 39(3-4): 845–872. Bychenko, A. (2012) ‘Permit to sell agricultural lands will not help small and medium land owners’, 23 April, available at: http://www.razumkov.org.ua/eng/expert.php?news_id=3434. Demyanenko, S. I. (2008) ‘Agroholdings in Ukraine: Good or Bad?’, German–Ukrainian Policy Dialogue in Agriculture Institute for Economic Research and Policy Consulting (ed. ), Policy Paper Series AgPP No 21, available at: http://www.apd-ukraine.de/download/policy_papers/2008/AgPP_21_Eng.pdf. EBRD and FAO (2008) ‘Fighting food inflation through sustainable investment’, available at: http://www.fao.org/newsroom/common/ecg/1000808/en/FAOEBRD.pdf. EBRD (2011) ‘Ukraine – Factsheet’, available at: http://www.ebrd.com/downloads/research/factsheets/ukraine.pdf. FAOSTAT (2012) ‘FAO Statistical Database’. Rome: FAO, available at: http://faostat.fao.org/site/573/default.aspx#ancor. HarvEast (2011) ‘SCM and SMART Groups Decision on Foundation of Agricultural Holding HarvEast Group’, 7 June, available at: http://harveast.com/en/press/news/show/3. Invest Ukraine (2011) ‘Agriculture – industry overview’, available at: http://investukraine.com/wp-content/uploads/2011/10/Agri_www.pdf. Kucher, O. (2007) ‘Ukrainian Agriculture and Agri-Environmental Concern’, in Institute for Sustainable Economic Development of the University of Natural Resources and Applied Life Sciences Vienna (ed. ), Discussion Paper DP-24-2007, available at: http://www.boku.ac.at/wpr/wpr_dp/DP-24-2007.pdf. Latifundist (2012a) ‘Топ 100 латифундистов Украины 2012’ Top 100 latifundistov Ukrainy 2012, available at: http://latifundist.com/rating/top-100-latifundistov-ukrainy. Latifundist (2012b) Infographics, available at: http://latifundist.com/infographics. Latifundist (n.d.) Кто такой латифундист? Kto takoj latifundist?, available at: http://latifundist.com/kto-takoy-latifundist. Mamonova, N. (2012) ‘Challenging the dominant assumptions about peasants’ responses to land grabbing: a study of diverse political reactions from below on the example of Ukraine’, available at: http://www.cornell-landproject.org/download/landgrab2012papers/mamanova.pdf. Ministry of Agriculture and Food Policy of Ukraine (2012) ‘The development strategy of Ukraine's agricultural sector to 2015 and 2020’. Internal ministerial document, available at: http://www.uaan.gov.ua/sites/default/files/strateg_do_2020r.pdf. Rachkevych, M. (2012) ‘Room for profitable growth in the fields of black earth’, Financial Times Report - Ukraine, 18 September. Sauer, G. (2010) ‘Entwicklungsperspektiven der Agrar- und Ernährungswirtschaft in der Ukraine’, Ukraine-Analysen 71: 2–6, available at: http://www.laender-analysen.de/ukraine/pdf/UkraineAnalysen71.pdf. State Statistics Service of Ukraine (2011) Agriculture of Ukraine. Statistical Yearbook 2010, Kyiv. UCAB (2012) ‘Doing Agribusiness in Ukraine’, available at: http://agribusiness.kiev.ua/en/service/studies/1342613902/. UkraineBusiness insight (2012a) ‘Agri IPOs – forecast to resume’, 7: 8–10, available at: http://www.ukrainebusinessinsight.com/magazine. UkraineBusiness insight (2012b) ‘Just let us concentrate on farming: An interview with Alex Lissitsa of the Ukrainian Agribusiness Club’, 7: 11–15, available at: http://www.ukrainebusinessinsight.com/magazine. UN.UA (2012) ‘Rada extends moratorium on sale of agricultural land until 2016’, 20 November, available at: http://un.ua/eng/article/421649.html. Usov, A. (2011) ‘EBRD pledges more resources to primary agriculture development in Ukraine’, 15 November, available at: http://www.ebrd.com/pages/news/press/2011/111115a.shtml. Visser, O. and Spoor, M. (2011) ‘Land grabbing in post-Soviet Eurasia: the world’s largest agricultural land reserves at stake’, Journal of Peasant Studies 38 (2): 299–323. Zinkov, R. (2011) ‘New large-scale landlord in Ukraine’, APK-Inform, 14 February, available at: http://www.apk-inform.com/en/exclusive/topic/104143#.UPxCH80y40w. All online sources accessed in January 2013.